The Washington Monument in Washington DC was built to commemorate George Washington the first President of the United States of America. At 170m it is the tallest obelisk in the world. The Monument attracts over half a million visitors each year. The Washington National Monument Society was formed in 1832 on the anniversary of the birth of George Washington. Following a period of fundraising a competition was held in 1836 to design a memorial. The cornerstone of the Monument was laid on July 4th 1848. Donations ran out and construction stopped in 1854. By then the monument had reached a height of 46m. The anti-immigrant, anti-Catholic ‘Know-Nothing Party’ objected to the stone being used in the Monument. On the night of March 6th 1854 nine members of the party broke into the grounds of the Washington Monument. They stole the stone and dumped it in the Potomac River. Following the American Civil War building recommenced in 1877 on the Washington Monument. 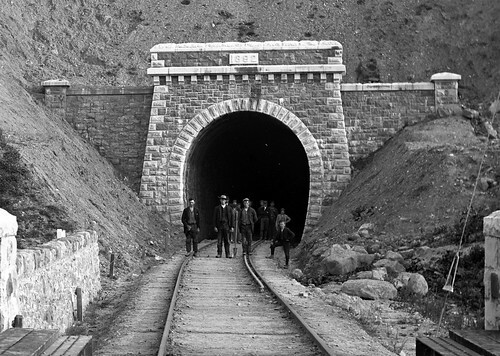 It was finally completed and was dedicated on February 21st 1885. The monument was opened to the public on October 9th 1888. The memorial stones, other than the ‘Popes Stone’, were built into the east and west interior walls so that they can be easily viewed by people ascending the monument. One hundred and twenty eight years after the first stone had disappeared, the Vatican during the reign of Pope John Paul II, donated another stone to replace the first. 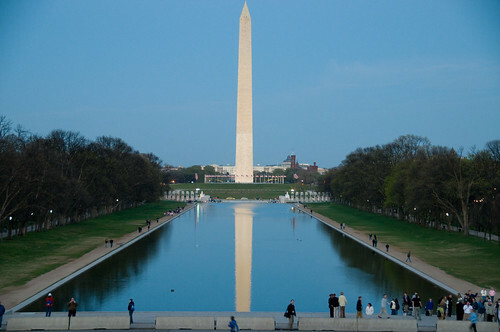 It was placed in the interior of the west wall of the Washington Monument 103m above ground level. The inscription on the stone reads ‘A ROMA AMERICAE’ (Rome to America). A dedication ceremony to mark the occasion of the new stone from the Vatican being placed in the Washington Monument was held in the year 1982 On This Day. Princess Grace of Monaco visited her grandfather’s house in Co Mayo, Ireland in 1961. She was greeted by Mrs Ellen Mulchrone who was then the owner. The house is located close to Drumgoney Lough, better known locally as Leg of Mutton Lake, in Drimurla near Newport County Mayo. Princess Grace’s grandfather, John Bernard Kelly, who was a bricklayer, left Drimurla in 1887 for Philadelphia where he founded a successful construction company. John Kelly’s granddaughter Grace Kelly was interested in acting from a young age. After completing high school she decided, against her father’s wishes, to pursue an acting career. She studied at the American Academy of Dramatic Arts in New York City and shortly after graduation she moved to Hollywood. She went on to appear in eleven films and numerous television productions. 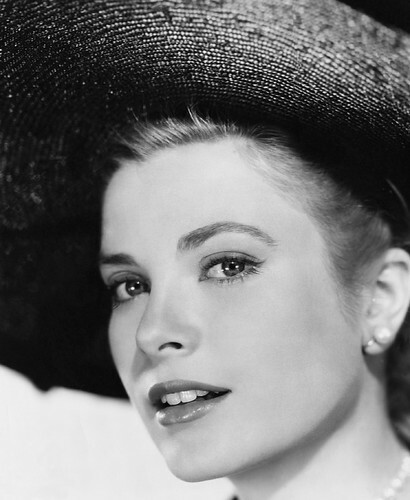 Grace Kelly received several awards including two Academy Awards. Her first award was for Best Supporting Actress for her part in the film Mogambo in 1953. She received her second Academy Award for her role as Best Actress in The Country Girl in 1954. Grace Kelly’s marriage to Prince Rainier III of Monaco in April 1956 brought to an end her acting career. She concentrated on her role as Princess of Monaco and became involved in various philanthropic projects. She established the Princess Grace Irish Library in Monaco which opened in 1984. Following her visit to Newport in 1961 Princess Grace purchased her ancestral home. On subsequent visits in 1976 and 1979 she discussed architectural plans for a holiday home at Drimurla. The plans never materialised as Princess Grace died following a car crash in 1982. The Rainiers had three children Princess Caroline, Prince Albert, and Princess Stéphanie. Following the death of Prince Rainier in 2005 he was succeeded by his son Prince Albert II. Prince Albert II of Monaco and his fiancée Charlene Wittstock met relatives of the Prince at Newport House, Co Mayo, Ireland on April 6th 2011 while on a state visit to Ireland. The couple then followed the footsteps of Prince Rainier and Princess Grace and visited the ancestral home of the prince’s great grandfather at Drimurla. 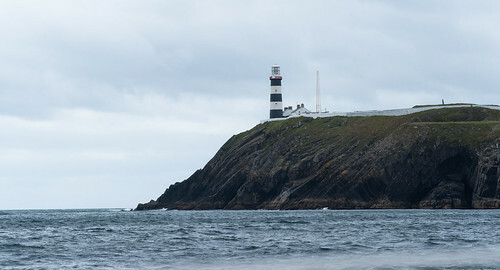 A Festival in honour of Princess Grace is held in the picturesque town of Newport Co Mayo. Princess Grace of Monaco died at the age of 52 in the year 1982 On This Day. Work on the building of 50,000m squared building was undertaken by the Mercury Company and began in 1979. It was fully completed and ready to start production by September 1980. At its peak the factory employed over 630 people. However it quickly became evident that there was not a market for the quantity of goods the Kilkenny factory was producing. By September 1981 the factory was incurring huge financial losses. The losses continued to mount up over the following months and intensive efforts were made to save the plant and make it a profitable enterprise. All efforts failed and it was decided to cease production. The Fieldcrest Factory in Kilkenny was closed in the year 1982 On This Day.